The HomePod is third class of device that can act as a HomeKit hub. The HomeKit hub feature was previously limited to the Apple TV fourth generation and newer for all HomeKit functions, or an iPad capable of running iOS 11. 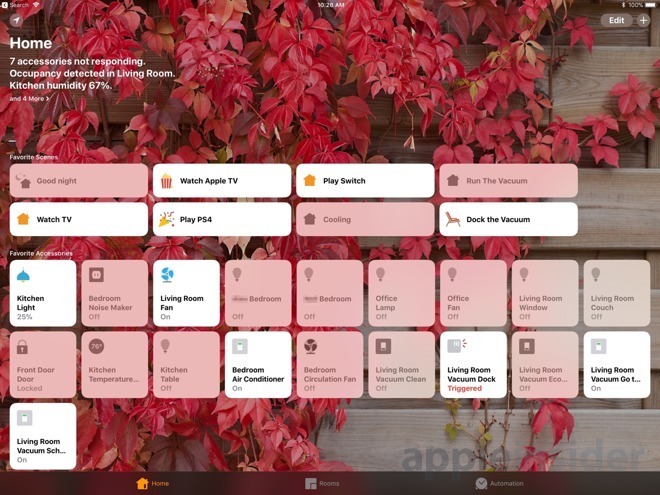 Without using an Apple TV, an iPad, or a HomePod as a home hub, you can organize devices together in a room, control accessories, and create a scene to control multiple accessories with a single tap when you're in range of your wireless network. The third generation Apple TV can be used as a HomeKit hub, but it won't be able to be used to remotely access HomeKit cameras, change user permissions, or create automations from the device.